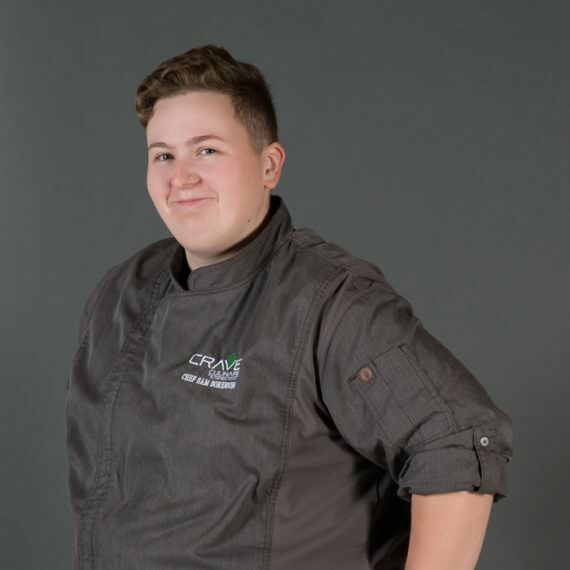 Sam Sorenson started her cooking career at the age of 21, previously a tattoo apprentice, and a visual arts major in college. It wasn't until stepping into the massive kitchen of Buddakan in New York City with almost no experience, and working an average of 1200 covers a night, that cooking really made sense to Sam. From there, the desire to make beautiful plates and delicious food has taken Sam to continue to explore and push to always make better food than before. In her free time, Sam can be found exploring Florida wildlife, and chasing waterfalls with her fiancé.